Boxing is unlike anything out there when it comes to sports, mainly due to all of the characters involved. There’s no question that we have some colorful, outspoken individuals in boxing, from the trainers, fighters, media members, and fans alike. 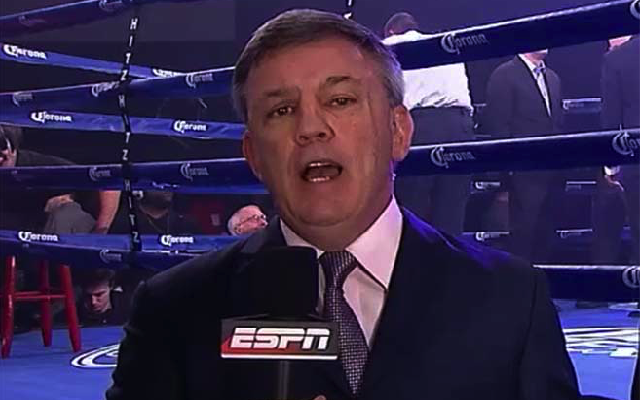 And when you are thinking of someone who really has no problem holding anything back, legendary trainer Teddy Atlas sits near the top of the list. Atlas always stands out, whether he is offering up some in-depth advice between rounds to his fighters or venting over another controversial decision online. Atlas’ ramblings over the years while covering ESPN Friday Night Fights alone have been memorable enough, but there seems to be other things on his mind these days. During a recent edition of his podcast, Atlas, who is always displeased with some aspect of the boxing game, expressed how he thinks the sport needs to take a page from UFC boss Dana White if we are to see the sweet science flourish. Atlas feels that the sport of boxing is spread too thin, unlike the UFC, where White has the final say in so many matters. At the end of the day, Atlas comes across as a fan at heart, and a man who simply wants to see boxing’s best find a way to face one another. Strong words from Atlas, but not everyone is agreeing with him. Middleweight contender Tureano Johnson took to his Twitter account upon hearing of Atlas’ comments and let his thoughts be known. Johnson, who is known best for facing the likes of Sergiy Derevyanchenko and Curtis Stevens, took some more time to weigh in what Teddy said, yet was still left in disbelief. Whether or not you agree with Atlas is one thing, but it’s back to work for him regardless, as he will be guiding WBC light heavyweight champion Oleksandr Gvozdyk towards his next ring return, a March 30th defense of his title vs. Doudou Ngumbu in Philadelphia. But expect to hear more from Atlas on this, and many other topics.